Katie Jane Hughes, Global Colour Ambassador for butter LONDON, created nail looks for Temperley London and Sister by Sibling at London Fashion Week. Temperley London showed looks that put a modern take on the traditional Temperley girl. To get this of-the-moment nail look, apply butter LONDON Nail 999 Base Coat to nails. Follow with a thin coat of butter LONDON The 444. Finish with top coat for a barely there glittery sheen. Sister by Sibling was inspired by lurex and glitter. 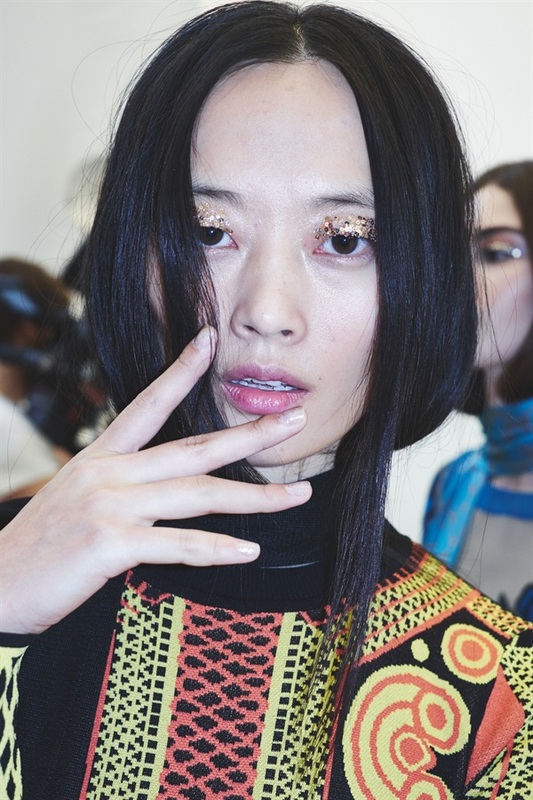 Hughes opted for a literal interpretation of the collection with a vibrant glitter nail. Begin by applying one coat of butter LONDON Union Jack Black or Sunblazer or Primrose Hill Picnic and allow to dry. Apply a second coat then cover with black, orange, or pink glitter to match the base color. Clean around the nail with butter LONDON Ombre Brush. For all the nail looks from New York Fashion Week, click here.